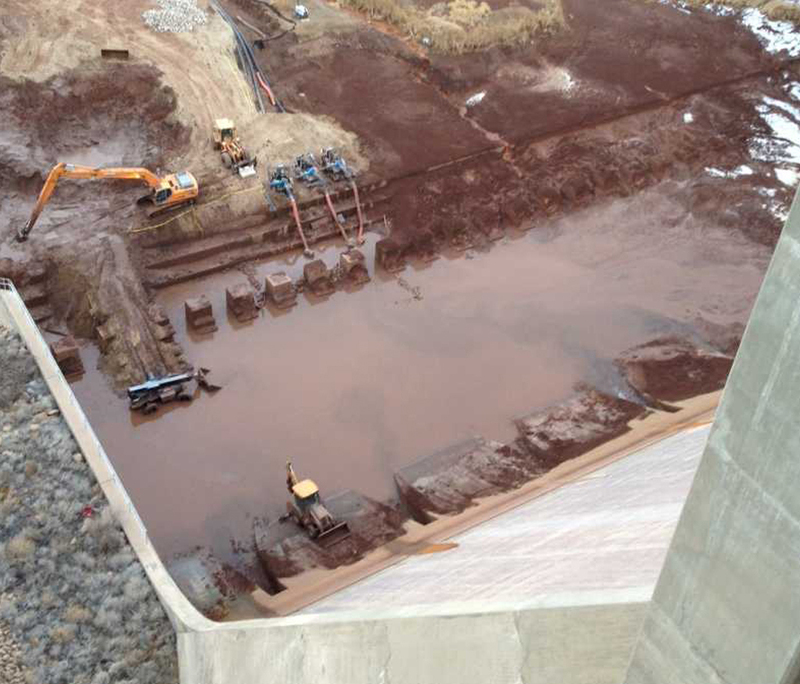 Construct coffer dam to prevent back-flow during dewatering operations. Install bulkheads over sluicing conduits from Dam Crest Road at 90’ below lake surface. Dewater Approximately 7, 000,000 gallons from stilling basin. Maintenance pumping of 4,000 gpm during silt removal operations and repairs. Remove of 10 acre feet of silt from stilling basin and dispose. 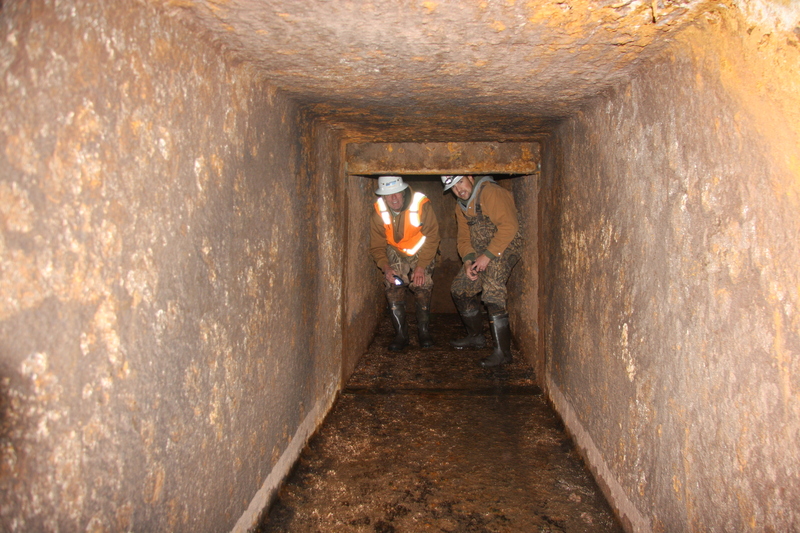 Engineer safety equipment and procedures for confined space gate repair in sluicing conduits. Sand blast gate components and repair with Belzona ceramic epoxy. Remove bulkheads and coffer dam. Reshape stilling basin and stabilize with seeding.